Home / Stock Picks / Hot Stocks / AT&T Inc. (T) Stockholders: Beware the CNN Spinoff! 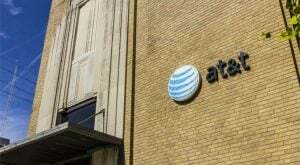 AT&T Inc. (T) Stockholders: Beware the CNN Spinoff! Owners of AT&T stock shouldn't "fix" a CNN that isn't "broken"
AT&T Inc. (NYSE:T) CEO Randall Stephenson has a billion things to worry about with the company’s potential $108 billion (with debt) acquisition of Time Warner Inc (NYSE:TWX). Preparing for a possible spinoff of CNN, though, likely isn’t high on his list. I don’t see why a CNN spinoff would be a good idea for AT&T stock or TWX, or why anyone would buy stock of this theoretical company. Wells Fargo analyst Jennifer Fritzsche raised this as a theoretical possibility in a recent Barron’s article in light of concerns raised about the deal by President Donald Trump, who wasn’t a fan of the channel’s coverage of his campaign. The only way this could possibly make sense would be in the context of a merger with another TV news operation. Therein lies the problem. CBS Corporation (NYSE:CBS) and Walt Disney Co’s (NYSE:DIS) ABC looked into a tie-up with CNN a few years ago and couldn’t come to terms because it didn’t make sense economically. It still doesn’t, because merging two channels together would create enormous headaches. Indeed, managing high-priced broadcast talent is like herding cats on a good day. Time Warner’s Turner Networks are hugely profitable, earning more than $4 billion in operating income in 2015 thanks to CNN. And just as it does in life, in the media world it makes no sense to “fix” something that isn’t broken. Indeed, the all-news channel is probably less risky for TWX’s hit-dependent entertainment channels like TBS. The poor performance at rival Viacom, Inc. (NASDAQ:VIAB), home to the money-losing MTV Networks, is a case in point. According to the Pew Research Center’s State of the News Media Report, CNN generated about $1.2 billion in revenue in 2015. That’s roughly 10% of the $10.6 billion the company’s Turner Networks earned in sales during that year. Time Warner doesn’t break out the performance of its specific channels other than HBO. Odds are, though, that CNN and its sister channel HLN are both profitable and did well financially in 2016 thanks to the insane presidential election. While CNN’s numbers are impressive when considered in the broader context of TWX, they wouldn’t be much of a draw for investors in a standalone company. The media world is filled with sharks and a few guppies. An independent CNN would be roughly the size of a newspaper publisher such as the New York Times Co (NYSE:NYT) and McClatchy Co (NYSE:MNI), stocks that are not on many investors’ wish list. CNN also enjoyed a massive rating bump because of the election, enjoying its most watched year ever and coming the closest it’s been in years to Twenty-First Century Fox Inc’s (NASDAQ:FOXA) perennial rating leader Fox News. The channel also reigns supreme online, attracting a bigger audience than both Fox News and Comcast Corporation’s (NASDAQ:CMCSA) MSNBC. Data cited in the latest State of the News Report shows CNN’s spending at about $805 million as of 2015. The costs of covering the election no doubt caused that number to spike considerably in 2016. However, all the attention from “The Donald” was a huge help to the channel’s bottom line. According to NPR, CNN earned $100 million more in advertising revenue last year than it did during a typical election. If the rest of the Trump administration is as contentious as its beginning, there will plenty more profits for the cable news channel. Shedding CNN would rob owners of AT&T stock of one Time Warner’s gems at a time when the wind is at its back. It would be pointless. As of this writing, Jonathan Berr is long CBS and also does freelance work for one of its websites. Article printed from InvestorPlace Media, https://investorplace.com/2017/01/att-stock-cnn-time-warner/.